Tucked away in the jungle just outside Iquitos is the Pilpintuwasi Butterfly Farm and Animal Orphanage (www.amazonanimalorphanage.org). This 20-hectare wildlife center officially began life as a butterfly farm in 2002, as a place to breed endangered butterflies. Its founder, Gudrun Sperrer, then expanded operations to take in rescued animals, which now include everything from monkeys to toucans to jaguars. I could tell Pilpintuwasi was a good place to live as soon as I arrived, both for its long-term and temporary residents, human and animal alike. 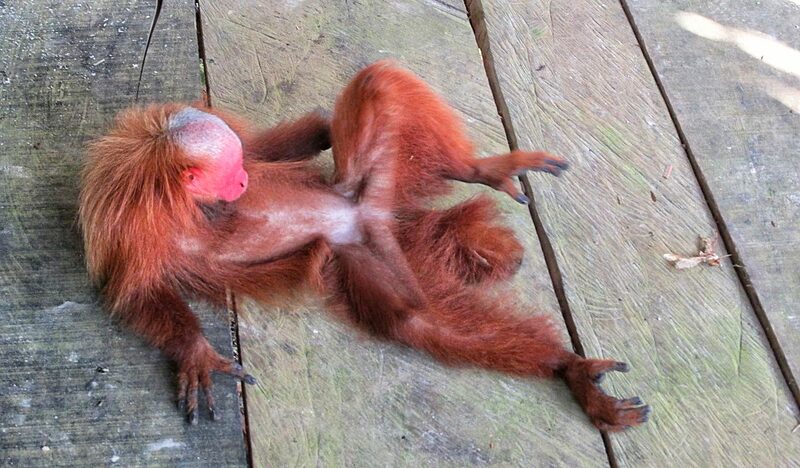 A bald uakari monkey (above) lounged around like Burt Reynolds on a slow day, enjoying life as it played with an insect. I was then greeted by a young American volunteer who seemed as chilled out as the uakari, but she was a lot chattier. And prettier. And she wasn’t trying to eat an insect. 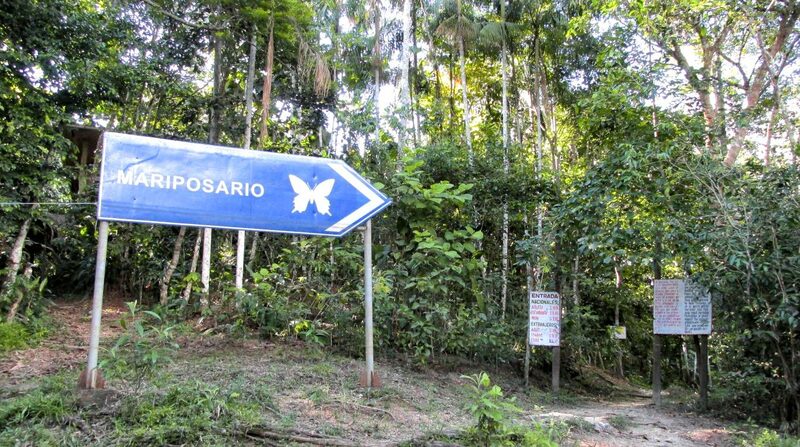 After a brief introductory chat beneath the leafy shade of the dense canopy, the volunteer showed me around the butterfly farm. Not knowing much about butterflies, it was great to have someone who was knowledgeable enough to answer a bunch of amateur questions and give a few details about the lives of these impressive insects. 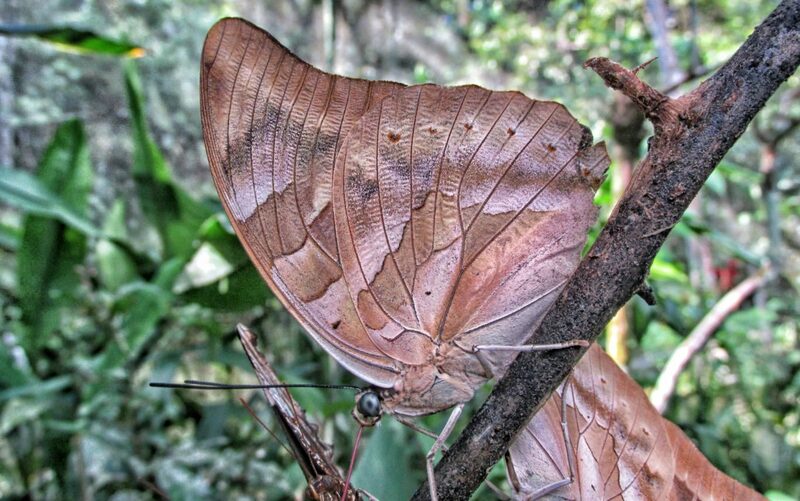 While some butterflies were camouflaged and designed to blend in to their environment, others were clearly more worried about making an impression. Some of the colors were truly stunning. 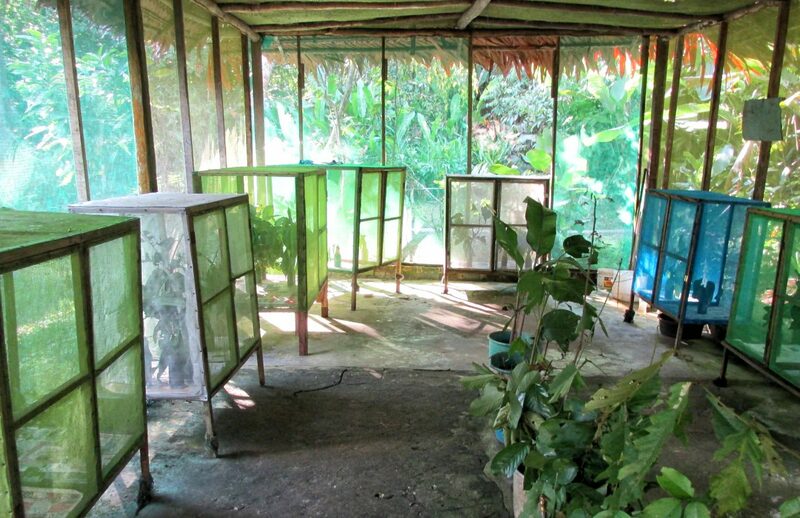 Inside an airy hut was the butterfly hatchery or nursery. Here, a flood of long-dormant science class trivia came rushing back to me. Well, trickling back. Here was the life cycle of a butterfly. 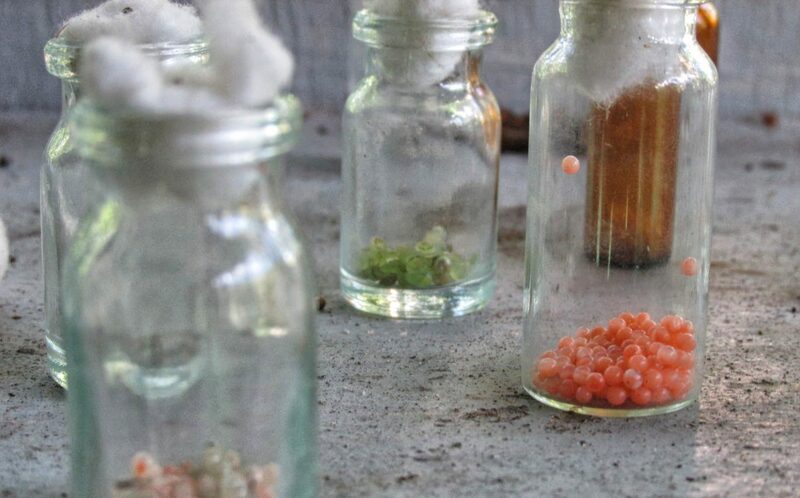 Egg, larva, pupa and adult. Egg, caterpillar, chrysalis/cocoon, butterfly. The incredible metamorphosis of crawly things into squishy bits into radiant butterflies. After seeing the butterflies, we moved on to say hello to some of the animals at Pilpintuwasi. 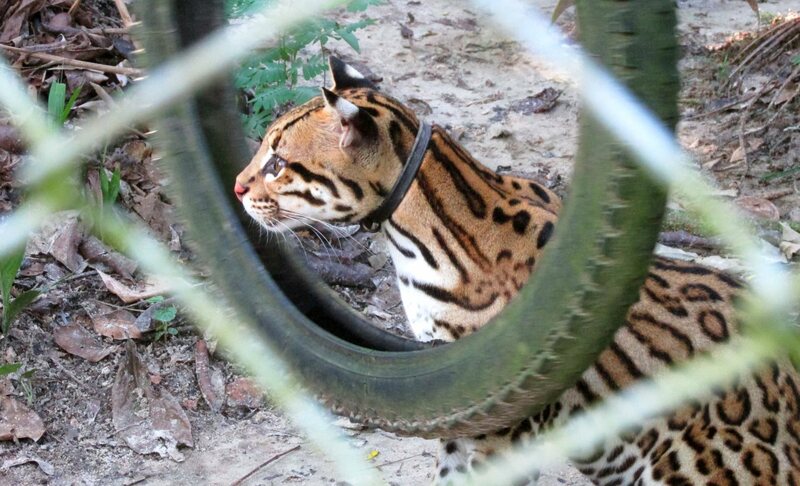 These animals have all been rescued, some from traders in Belen Market or along Iquitos’ riverside boulevard, were vendors try to sell illegal wildlife. It’s an ongoing problem, and one that tourists often aid despite their best intentions. Never buy an animal from these traders, even if you want to “set it free.” All you do is feed the market for illegal wildlife. You can, however, report the vendor to local authorities. Thankfully, Pilpintuwasi is on hand to help rescue some of these orphaned animals (and it receives no government funding, making volunteers and visitors essential to its continued existence). These include all kinds of animals, from the tigrillo above to various species of monkeys, snakes, caimans, birds, jaguarundis (small wild cats) and more. Above is a pygmy marmoset, the smallest true monkey in the word. 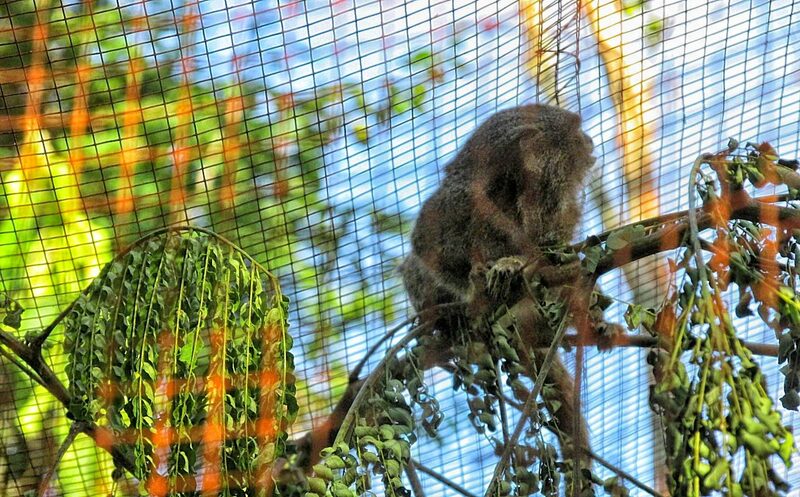 Like the other animals at Pilpintuwasi, this marmoset benefits from the care and attention of Gudrun Sperrer and her volunteers. When I emailed Gudrun, she enthusiastically gave me an update on some of her latest initiatives. One really stood out as an excellent reflection of the mentality at Pilpintuwasi, in which the animals always come first. Enclose the visitors, free more animals? Sounds like a great idea to me. In the video above, which I shot while at Pilpintuwasi Butterfly Farm, you can see three different residents at the animal orphanage. The first is the Burt Reynolds-like bald uakari monkey, playing with his favorite insect. The second (correct me if I’m wrong) is a greedy little capuchin monkey. The third is arguably the most impressive creature at Pilpintuwasi: the beautiful Pedro Bello, a jaguar who has lived at Pilpintuwasi for 16 years. There were once plans to send Pedro Bello to a nature reserve in Brazil, but the Peruvian government wouldn’t allow it; as you can hear the volunteer explaining in the video, the Peruvian government wants to keep Pedro Bello — or more specifically his genes — in Peru in case it one day decides to initiate a breeding project. And, according to Gudrun, after so much time in captivity, Pedro would not stand much chance of surviving if he was now released into the wild. The moment toward the end of the video when Pedro Bello extends to his full height against the fence was an impressive sight indeed. His elegance, his strength, his curiosity. And I guess if he must remain in captivity in Peru, there are few better places for him than at Pilpintuwasi. 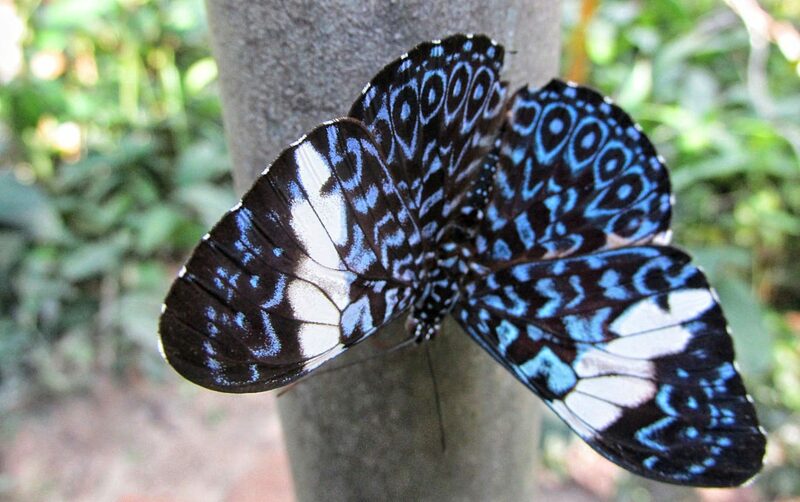 Pilpintuwasi Butterfly Farm and Animal Orphanage is a fantastic daytrip (or even half-day) from Iquitos. It’s open Tuesday to Sunday from 9 a.m. to 4 p.m.; entrance is $5 (S/ 20) for foreign adults, but please give more if you can. 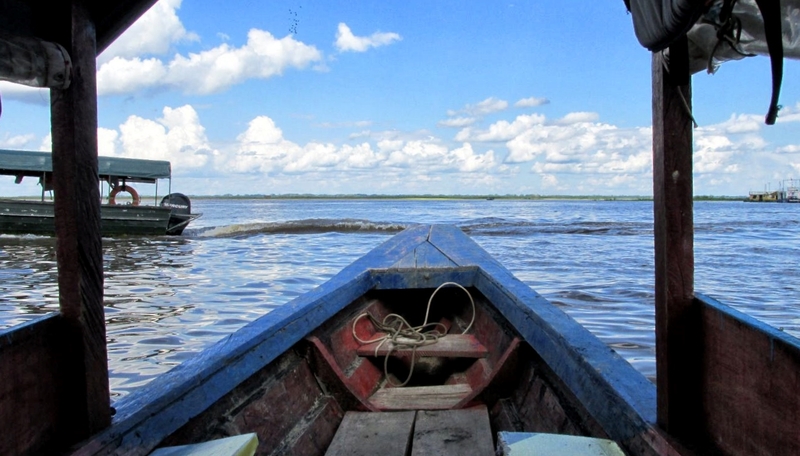 To get to Pilpintuwasi, you need to take a boat from the Bellavista-Nanay port about three miles north of the city center. The boat ride takes about 20 minutes; in dry season you’ll have to walk an additional 15 minutes to get to the entrance of Pilpintuwasi. Make sure you go to the correct butterfly farm, and not the rival farm that opened up nearby. You can find more info about this, and further directions, on the Pilpintuwasi website’s contact page.